Chia has made quite the comeback in the past few years. The ch-ch-ch-chia pets we once all knew and loved has officially broken into the mainstream market as a superfood. 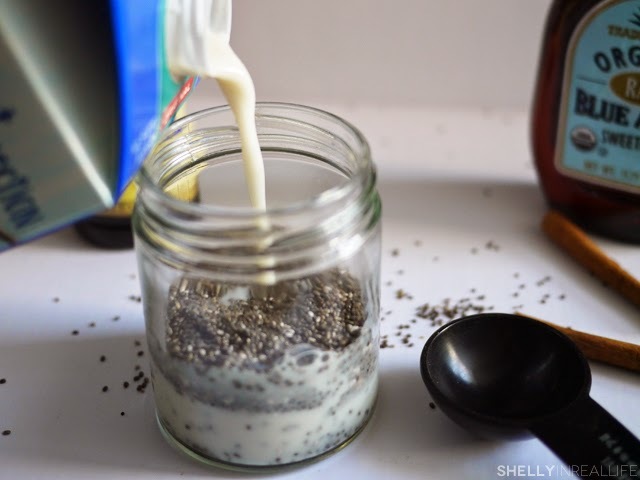 Yes, A scoop of chia seeds is one of the easiest ways to incorporate more omega-3s, fiber, and protein into your diet! 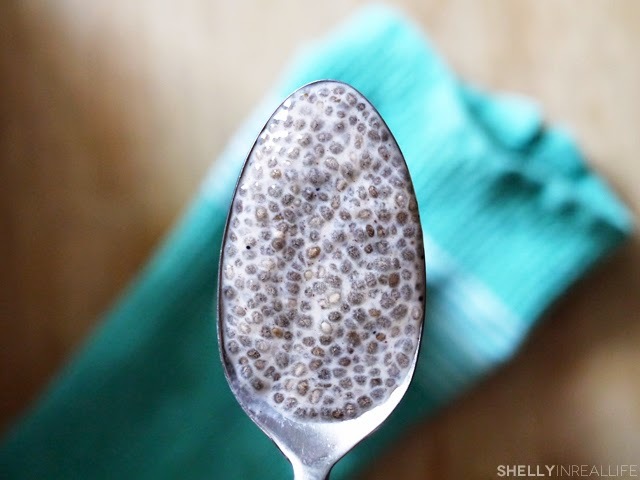 I don't know about you, but when I first saw the chia seed creeping into everyone's healthy recipes, I was still a bit intimidated by it. I saw it on top of smoothies, floating inside limeades at the health food store, but I never knew what to do with the little guys. And plus, if I had too much of it, would I turn into a chia pet? It wasn't until I finally decided to ask fellow blogger Ameeme about it did I finally get the confidence to pick up a bag at Whole Foods. "Yes - just put it on top of your smoothies and stir it in!" says Amy. Sounds easy enough right? So I finally decided to jump on the bandwagon, bought a bag of seeds, and topped off the next smoothie I made. One thing that I didn't really expect from the chia seed is how it puffs up with a gel like jacket when wet. In my smoothies, it adds a bit of a crunch but not much else. 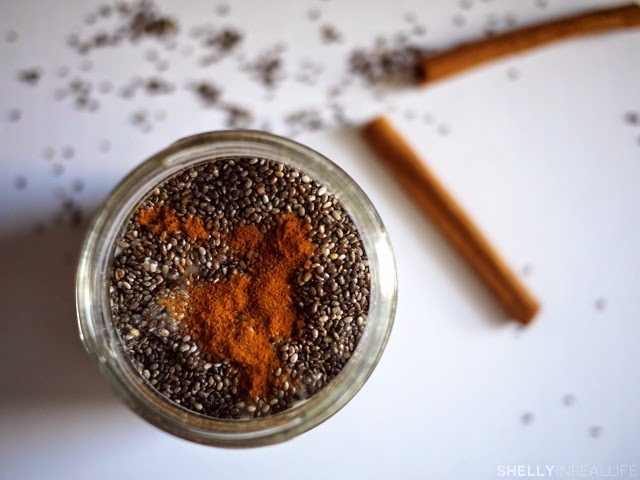 As I got more used to the chia seed, I finally decided to make a recipe dedicated to it - a chia seed pudding! 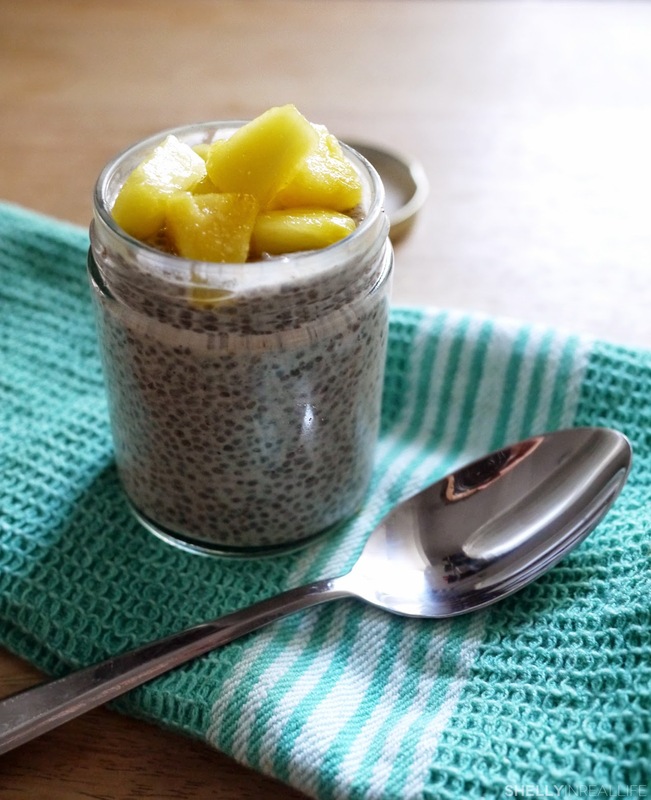 Since the chia seed develops a jelly seed texture, it makes it perfect for an all natural pudding. After the first time I made it, I was hooked. During the Clean Cleanse this time around, Vanilla Chia Seed pudding became my obsession since all the ingredients are clean-list approved and it is the best answer to your sweet tooth cravings! The only down-side is that it only takes a little bit of foresight to make in advance since you can't eat it right away. 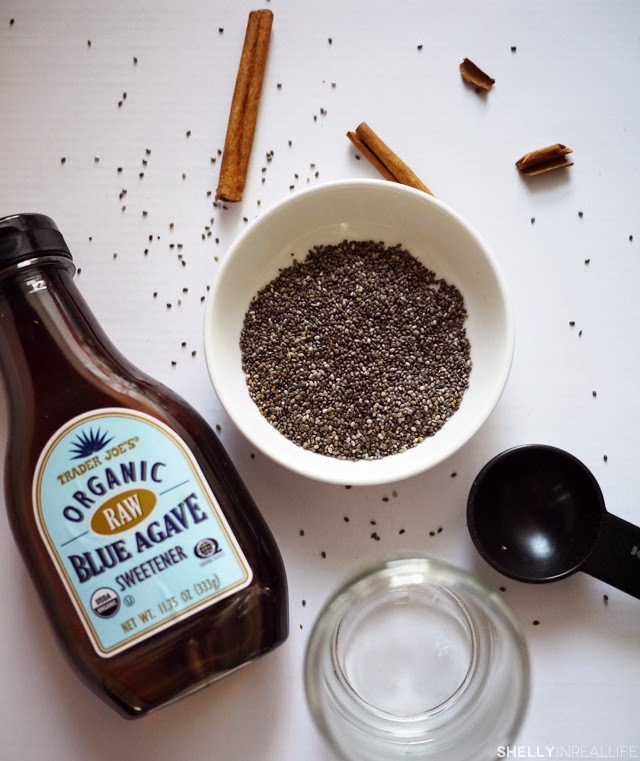 My favorite combo is a classic - almond milk, chia seeds, vanilla extract, cinnamon for a kick and a touch of agave for some sweetness. 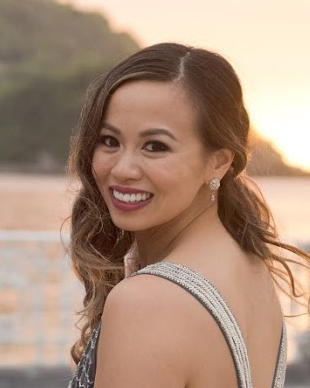 I hate to get all Rachel Ray on you here, but can we say YUM-O?! The best way to make these puddings is in a jar since you can just shake it up to mix everything together. I've found that you actually have to make sure to shake it at 2 different times to ensure the chia seeds get fully coated. First, give it a shake. Set it down, and give it another shake about 5-10 minutes later. The first time helps mix it, and the second time helps the chia seeds that have already puffed up a little bit get more separated. I've tried just stirring it once and the result turned out a lot more clumpy that I liked. I usually just put my pudding in the fridge overnight - however you can probably eat this fully puffed up in about 4 hours. On the days you're feeling particularly adventurous, top it with some fruit - I did pineapple on this day, but berries are great with it too. Just a warning, this might feel like a slimy crunchy pudding at first but after your first few bites, it gets super addictive and it won't be long before you completely shovel the whole thing into your mouth! 1. Mix & mix again. Add all the ingredients together in a jar or bowl. Give it a healthy shake or mix thoroughly. Let it sit, and stir again in about 5 minutes to fully incorporate. Cover and put in fridge. 2. Wait. Let it sit in the fridge for at least 4 hours, or overnight. 3. Eat within ~5 days. When you're ready to have the pudding, just take it out and eat it straight, or add some fruit to top it off.